It is said that long ago, in the childhood of the world, the senses were so fine that we could hear the growing of the grass, the rustling of the opening buds of spring. By a memory of these early senses, by the faint remnant of them that the long ages in their passage have left us, we can hear now the first stirring of the opening buds of a new spring of intellectual life, a new period in the spiritual thought of the world; and the key-note of this new period is the East, the wisdom of the East, the thought and ideals of the East. Not merely or necessarily the East in longitude, but rather the Eastern side of man—that East in the soul of every man where the sun rises, where the light of intuition opens its first dawning rays, and, “rising, guides the lesser lives among its rays”. And yet the East in longitude gives the key-note to the new dawn of thought in a special sense too. For it was in the East, and, more than all, in India, “mother of nations”, that the eastern part of man where the sun rises found its best development; that the interior light of the soul found its fullest recognition. And it is only natural that the minds of men, feeling the first gleam of dawning day, should turn towards the East; that they should grow enthusiastic for the Lands of the East, and, more than all, for India: that India should occupy an ever-widening space on the horizon of their thoughts; that their hearts should more and more turn towards India. This growing interest and enthusiasm for India—an enthusiasm at first almost instinctive, but gradually quickened by advancing knowledge—is especially felt to-day in the two most idealistic nations in the West, the Americans and the Germans. For with all their sense of practical life and practical development, the Americans and Germans are at heart idealists; ready to sacrifice all their practical aims and practical accomplishment to a vision; ready, as Emerson said, to leave Cleopatra and the army, to seek the sources of the Nile. The deepest curiosity of the Americans and Germans, turning towards India, unquestionably centers on the Brahmans; one hears again and again the words—the wisdom of the Brahmans, the ideal of the Brahmans, the life of the Brahmans; and the first question one is always asked refers to the Brahman order. 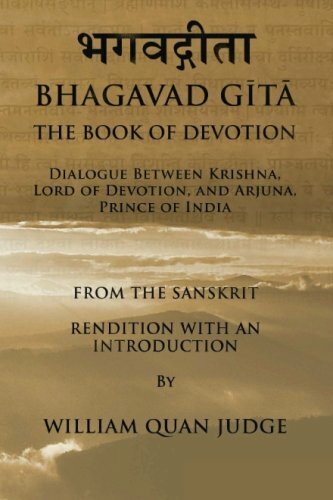 To answer this question, it would be necessary to write many volumes; to trace the rise of the Brahman order in the dim twilight of Vedic days; to show the growth and consolidation of their power in the days of Rama, and through the struggles of the great war of the Pandu and Kuru princes; to point to certain dark sides of their development that had become visible in Buddha’s days; and at last to fill in the splendid picture of Brahmanic advance and Brahmanic development in Shankaracharya’s days. When the records of the monasteries of Southern India are more fully known and understood, when the Smarta Brahmans who have preserved most clearly the splendid tradition of Shankara relax a little their reserve, we shall—it can hardly be doubted—have a picture of that great man and his times as perfect and full of color as the picture we have of Plato’s times, and the thought of Plato who, more than any other philosopher, resembles Shankara. What we know of Shankara already, though only a tithe of what we may know when old records are opened, is enough to give him a place amongst the choicest spiritual aristocracy of the world, as a seer and thinker who towered above his race as Plato towered above the Greeks; as a Great Man, an elder brother of the race, whose thought and insight mark a high tide of human life. There is a dim tradition, in the oldest Indian books, in the great Upanishads, and the earlier Vedic hymns, that the Brahmans were not in the beginning the spiritual teachers of India; that they received their earliest wisdom from the Royal Sages of the Râjanya or Kshattriya race. But the Brahmans have so long held these treasures of wisdom as their own—guarding them as a mother her child, as a man his first-born—that they have come to consider them as their very own; their heritage rather by birth than by adoption. The fact that, in spite of this jealous love of their darling treasures, they have preserved the tradition of their earliest Royal Teachers, points to the most valued feature in the Brahman’s character;—the unflinching, unalterable fidelity with which they have preserved, unaltered and inviolate, the spiritual treasures committed to their care; and the safeguarding of which through the ages forms their truest and greatest title to fame; the best justification for that instinctive turning towards the Brahmans as the center and representative of Indian genius, which we have noted as so marked a feature of the Indian Renaissance to-day. But once the Brahmans had received the wisdom-doctrines from their Royal Teachers, their distinctive genius, their most valued quality, began to assert itself. With their unparalleled genius for order, their instinctive feeling for preservation, they recorded, classified and developed the intuitive wisdom of the Royal Sages—Buddha, a Royal Sage of far later days, has put on record this unparralleled fidelity: “those ancient Rishis of the Brahmans, versed in the Three Wisdoms, the authors of the verses, the utterers of the verses, whose ancient form of words so chanted, uttered, or composed, the Brahmans of to-day chant over again and repeat; intoning or reciting, exactly as has been intoned or recited”. That Krishna, the spiritual hero of the Mahabharata war, whose mission it was to usher in the Iron Age of Kali Yuga, was no Brahman but Kshattriya, who traced his doctrines from Manu the Kshattriya through the Royal Sages, is enough to show that in the days of the great war, the Brahmans had not yet claimed as quite their own the teachings of wisdom which it was their mission to hand down through the ages. The great war, according to Indian tradition, was fought out five thousand years ago. And, after the great war, in which so many Kshattriya princes fell, the keeping of the Sacred records began to pass completely into the hands of the Brahmans. The Brahmans, sensible of their great mission, prepared themselves to carry it out by forming a high ideal of life; by strict rules of conduct and discipline which only the highest characters could support; and the very strictness of which seems to have produced a reaction which we see traces of in Buddhas days. The life of the Brahman was conceived and moulded in accordance with his high ideal; in accordance with his high destiny as transmitter of the wisdom of the Golden Age across the centuries to our dark iron days. Purity, unworldliness, and discipline were the key-notes of his life; and the Brahman’s unparalleled genius for order gradually moulded this ideal into a set of definite rules, a series of religious ceremonies, which laid hold on his life before he saw the light of day, and did not loose that hold when his body vanished among the red embers of the funeral pyre—but rather kept in touch with him, through the Shraddha offering to the shades for nine generations after his death. This life of ceremonies and rites, the key-note of which was the acquiring and transmission of the Three Wisdoms spoken of by Buddha, gradually made of the Brahman order a treasure-box or casket for the safer keeping of the holy records handed down. Whether the Brahmans were originally of the fair, almost white race which forms their nucleus to-day, and whose distinctive physical character and color make a Brahman of pure type at once recognizable in an assemblage of Hindus, is a question difficult to solve. We find in the oldest Indian books that: “The color of the Brahman is white”, and this, in later days became a sentence symbolical of their ideal of purity; but in the beginning it may have been a description of their color, an index of their race. It is very probable that this fair, almost white race, which now forms the nucleus of the Brahman order, gradually became, through selective genius, through their unequalled instinct of order, the recognized repository and transmitter of the sacred records of the past. But the ideal life of the Brahman was, perhaps, too arduous for the common lot of man; at any rate we see a gradually increasing tendency to degeneration in one side of the Brahman’s life; for in India as in other lands, even silver clouds have their dark linings. Their instinct for order, among the Brahmans of lesser moral structure than the high ideal of their race, became an instinct for ceremonial; their ideal of purity became a habit of outward purification; and they tended to harden into an exclusive priestly caste, withdrawn from, and above the common life of man.. The priestcraft, by a second step, began to weave ambitions, to seek a share of political power, and, at last, a practical predominance in the state, which threatened to become a spiritual tyranny. But these developments, inseparable from the weakness of human life, were but the rusting of the outer layer of the casket in which the wisdom of the Golden Age was handed down. There were also within the Brahman order—as there are to-day—men who held to the high ideal of their past; who were fitting repositories of the high tradition they were destined to carry down. The casket in which were held the records of the past had always its lining of precious metal, though the outside might rust and tarnish with the passing ages. The greatest of these followers of that high idea, in later days, within the Brahman caste, was Shankaracharya, the Brahman Sage of Southern India. It is hard to say, with certainty, when Shankara lived; but the records of Shringiri, where his successors have held rule over the nucleus of the Brahman order, point to a period about two milleniums ago; a period, that is, just outside the threshold of our era. Shankaracharaya began work of reforming the Brahman caste from within. A few centuries before him, Buddha had scattered broadcast through India, and Buddha’s followers had scattered broadcast through the world, the teachings of India’s Golden Days in a form readily intelligible for all and to be assimilated by the simplest mind of man. It remained to do for India, what, perhaps, others were doing, across the Himalayas, for the whole world to preserve inviolate, and transmit in its purity that other side of wisdom which the simplest heart of man can intuitively feel; but which only, the most perfectly developed powers the most fully expanded intellect and spiritual insight can remained to secure the preservation of those profounder truths and that deeper knowledge which only the finest powers of the soul can adequately comprehend. To secure their preservation in India was the duty and mission of Shankaracharya. Believing that this preservation should be helped and seconded by whatever aids selective race genius and hereditary capacity could give, he confined the transmission of this wisdom, and of the records which contained it, within the Brahman order, as far as our knowledge goes. There is evidence that, among the Brahmans of Southern India in early days were a certain number of families not belonging to that white race which forms the nucleus of the Brahman caste; but belonging to the dark, almost black Dravidian peoples of Southern India, who are the survivors, perhaps, of a land that once lay to the south of India, but has now vanished beneath the waves. This dark Dravidian race has produced many men of remarkable genius and power, whose insight and force quite fitted them for inclusion in the Brahman order. But as the centuries moved on, such admission became more difficult; till, in the days of Shankara, it is probable that the door was completely closed. What changes Shankara made in the Brahman order which followed him, in the division of the Brahmans which recognized his transcendent force, can only be known with surety to the Brahmans of that order themselves. But this much we know, that Shankara did all his overpowering genius could accomplish to turn the Brahmans from too exclusive following after ceremonial; to lead them back to the spiritual wisdom, the recognition of the inner light of the soul, which was India’s greatest heritage; and that, taking India’s most precious records, the Great Upanishads, he rendered them into the thought and language of his own day, and did all that a marvelous insight and a literary style of wonderful lucidity could do to make the spirit and the genius of the Upanishads live once more in the hearts of the Brahmans of his time. He set himself, above all, to cleanse the inner lining of the casket where India’s treasures lay concealed; to remove every speck from the precious metal whose perfect purity alone could guarantee the costly contents against rust and moth. The reforms inaugurated by Shankaracharya continue to bear fruit to-day; the new light he shed on the old records, the new insight he gave to the old symbols, are the treasured inheritance of the Smarta Brahmans, whose spiritual heads, in unbroken succession, have ruled at Shringiri Math, in the mountains of southern India. Centuries passed, and the sunlit plains of India were filled with Moslem invaders, falling like swarms of locusts on the rich gardens of that distant wonderland; full of the fierce hostility of fanaticism against the symbols of a religion they did not understand; and against the Brahmins, as ministers of this religion. It would not be wonderful, it would rather be perfectly natural, if this hostility and predominance of a foreign fanatical power had sealed the lips of the Brahmans once for all as to the mysteries of their religion; had locked and double-locked the casket in which the heritage of India lay concealed. But in spite of tyranny and fanaticism that would have justified the most perfect reticence, the most absolute silence, the Brahmans retained an ideal of their universal mission, above and beyond their mission to their own land and their own religion. No sooner did brighter days dawn for them under the Emperor Akbar, the great Indian monarch of the sixteenth century who conceived and framed a high ideal of religious tolerance and mutual understanding which was the nearest approach to State Theosophy; no sooner did the brighter day dawn than the Brahmans were ready to forget old griefs and to teach their Moslem rulers the broad principles of their religion. Two generations after Akbar, Akbar’s noblest and most ill-fated descendant, Prince Dara Shukoh, received from the Brahmans the permission to translate into Persian a series of the Upanishads, including the Great Upanishads of which something has been already said. This Persian translation, besides following the words of the old records, put into visible form much that had been hidden between the lines, and followed, in some degree, the new light that had been shed on the Upanishads by the genius of Shankaracharya. This Persian translation of the Upanishads, which embodies a very valuable tradition of their hidden meaning, made about the year 1640, was found by Anquetil Duperron in 1775, and by him translated into Latin. From Anquetil Duperron this “Key to the Indian Sanctuary” passed to Schopenhauer, and becoming “the comfort of his life, the comfort of his death” lead him to prophesy that Indian Renaissance which is glowing with the fair colors of dawn to-day. But under Dara Shukoh’s brother, the fanatical Aurungzeb, darker days fell upon the Brahmans; and they suffered much from European nations more presumptous and not less fanatical than Aurungzeb; of these the darkest record clings to the Portuguese, who tried to wring from the Brahmans the heart of their mystery by Inquisition and auto-da-fe. Yet, once more, just a hundred years ago when a group of Europeans full of love for the East, sought from the Brahmans some knowledge of their learning, the Brahmans, with singular generosity, made these Europeans in some degree sharers in their heritage. From the knowledge thus freely given to these Europeans, whose chiefs were William Jones and Thomas Colebrooke, the first foundations of Orientalism were laid; and a field of matchless fertility was opened to a growing band of workers who enrolled themselves under the banner of the East. But the last and finest insight, the master-key to the records was still treasured in the East itself; somewhat of that insight has since been freely offered to us; on our ability to use it most probably depends the further insight that the future holds in promise.